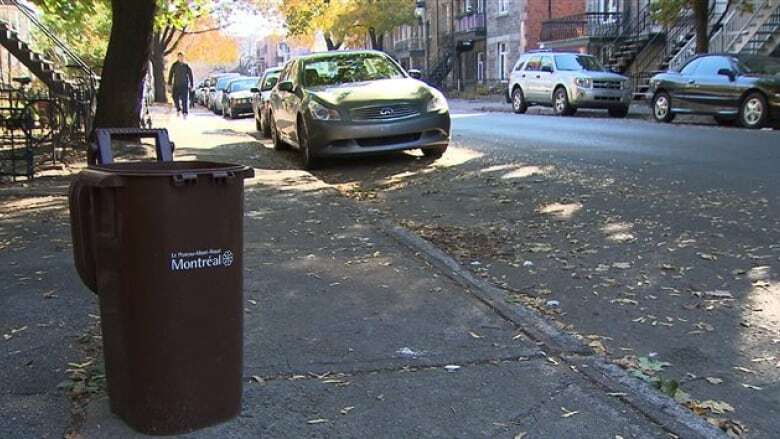 The City of Montreal adopted a new bylaw Tuesday that will see people who put compostable waste out with curbside garbage face fines ranging from $300 to $1,000. That means if you're caught tossing carrot peels or table scraps in a green garbage bag, you'll have to pay up. Opposition Projet Montréal interim leader Luc Ferrandez wondered how such a law could be enforced. "You'll have to open the bags. Finding the guilty parties will be extremely difficult," said Ferrandez at city hall Tuesday. Réal Ménard, the executive committee member responsible for the environment, wouldn't say how the law will be enforced, but he said the city wouldn't be "repressive." "There won't be 'garbage police' who intervene unjustly, but the law will help let people know that there's more work to be done if we want to meet our targets," Ménard said. The city has set a goal of recovering 80 per cent of organic waste by 2019. In the last study in 2008, only 8 per cent of organic waste was recovered. The law will only apply to households that have access to curbside compost collection. Right now about 350,000 households have access to curbside compost collection, and the city says by 2019, 536,000 households will have access to the service. That represents every residential building with 8 units or less.